Rob Chilton and his wife Saria pose for a photo in their recently purchased home in Frisco, Texas, on April 9. 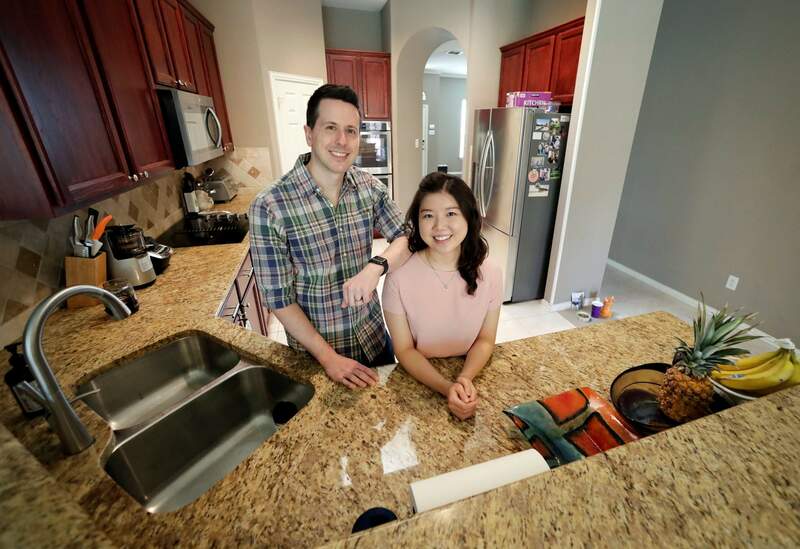 To cope with rising prices in Dallas, first-time buyers like the Chiltons have broadened their search area, even if it lengthens their commutes to work. 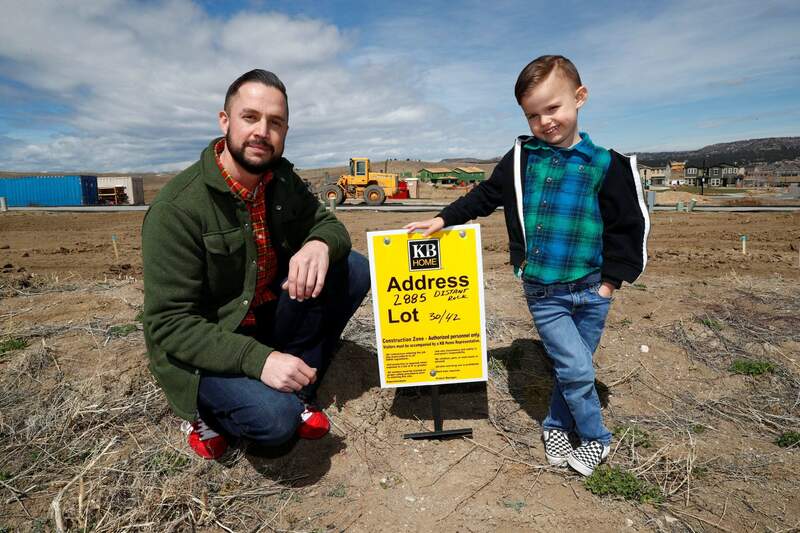 Chad Zolman, left, joins his 5-year-old son, Quinten, in standing at the site of their yet-to-be-constructed new home in Castle Rock, Colo., on April 7. “The rates kept going up, and the more the rates kept going up, the less house you can buy,” said Zolman, 41. “And the less house you can buy in this market, that’s not good. You have to be able to pony up the cash.” Zolman eventually bought a newly built, three-bedroom townhome for $370,000. LOS ANGELES – Higher mortgage rates are making the already challenging task of buying an affordable home even tougher for many Americans this spring. Flat forecastThe combination of low inventory, rising prices and higher mortgage rates is expected to weigh on the U.S. housing market this year, with several economists and housing experts forecasting U.S. home sales will be flat or only slightly higher than in 2017. Widening gapFor others, rising mortgage rates – the 30-year rate hit a four-year high of 4.46 percent in March – make it tougher to bridge the widening gap between home prices and incomes. Cities such as Denver, Los Angeles, Miami and Seattle have become less and less affordable, particularly for millennials and others looking to purchase their first home. Supply is dwindlingThe supply of homes for sale fell 8.1 percent in February from a year earlier to 1.59 million. It would take just 3.4 months to snap up the supply of available homes at the current sales rate, down from an average of 6 months since 2000. Home sales have been uneven so far this year. Among existing homes, sales rose 3 percent in February to a seasonally adjusted annual rate of 5.54 million, according to the National Association of Realtors. That gain followed sales declines in December and January.